The Square was one of the first places I visited for a quick takeaway lunch in the dim and distant past of Lunchquest. I’ve visited since then and found it busy and reliable. 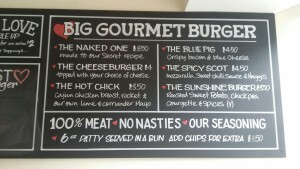 When I recently noticed that their second branch, just over on Dublin Street, offered burgers, I thought I’d give it a try. 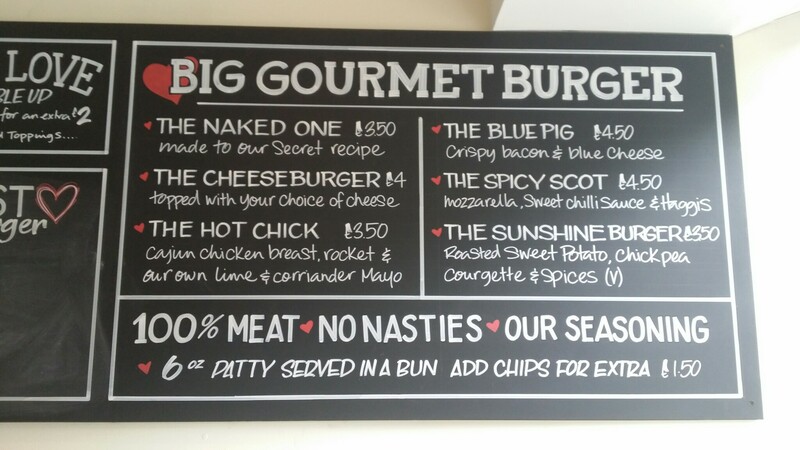 With four beefy options, plus a chicken and a veggie, this seemed to be a well-priced (the most expensive 6oz burger is £4.50) and nicely balanced selection. I chose the bacon and blue cheese topped burger with fries. While the counter guys dealt with the considerable queue in efficient fashion, I took a seat while my items were freshly prepared. They were soon with me. The chips were nicely cooked and well seasoned, but it was the burger that was the star of the show. Packing a pleasing amount of beefy flavour, this was a really satisfying eat. The toppings brought sweet salty tang and there was good crunch from fresh salad. It was a highly enjoyable dish. 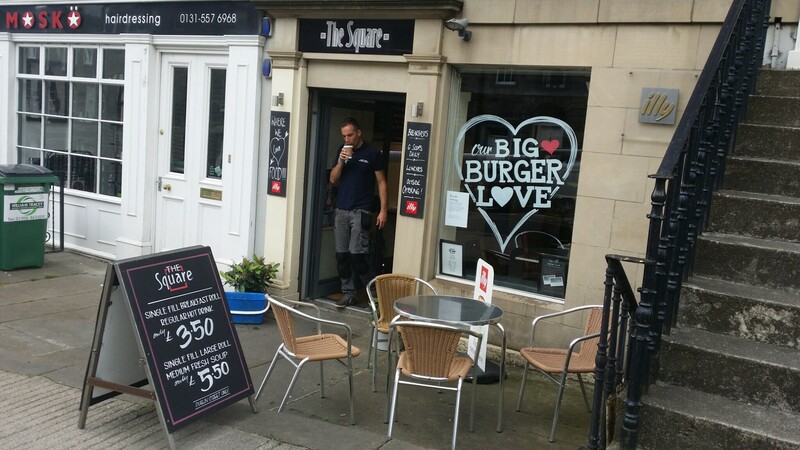 So overall, I was very pleased with the burgers at The Square. They’re prepared with a good deal of care and to a very good standard. 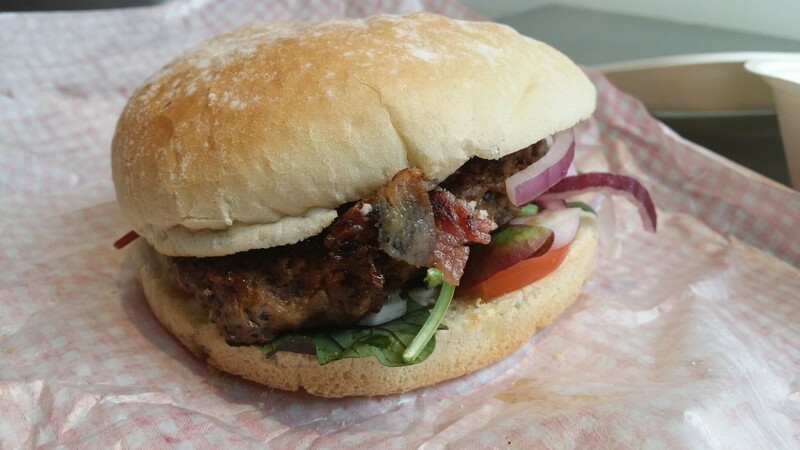 It’s a place that’s well worthy of a visit next time you’re looking for a tasty and good value burger.